TMCustom Logos: Change it !!! Three Continents, 3 families, 3 manufacturers each, 3 new TMCustomLogos. From the neighboring country we took out the Citroën logo, polished metal and red text to give that racing touch to the French cars. We crossed the Atlantic Ocean direct to the Motown. Chevrolet makes a burnot and leaves a mark among the Muscle Car family. And we do not stop! The Far East awaits us to enjoy its charms, its landscapes, and ... its cars! Subaru is part of the rooster with its intense blue over polished metal. Rain and sunbeams make new manufacturers flourish. The British family sees growing their garden full of Lotus flowers. The wild bulls of Lamborghini run freely through the Italian meadows. 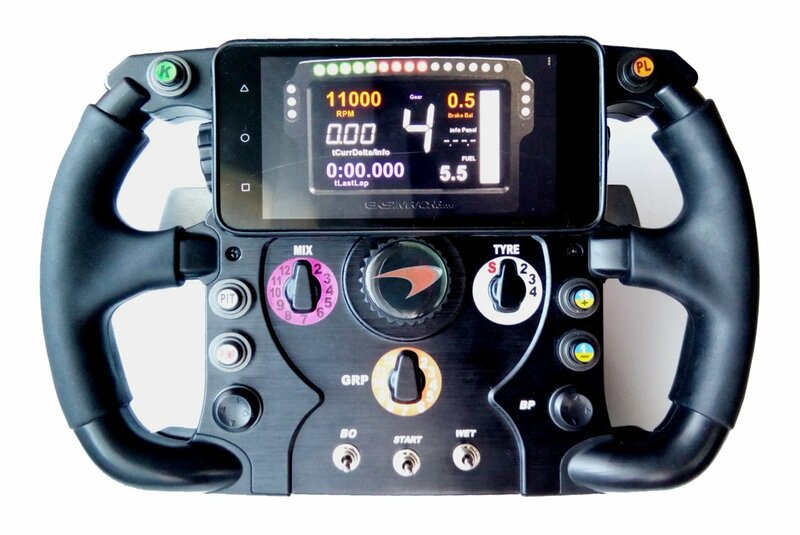 And finally a new family with the Sparco logo that will fill in the gaps of the most purists. 2017 is already past, now we have geared up to recover the lost inertia! BMW restock available to order now, check Deutsche Technik Family. In close collaboration with the world reference of simracing, we have created Honda by Aday Coba logo. Red H over carbon fibre, polished metal finish, all together forms a unique TMCustomLogo in its kind. Japanesse family grows. New family has been created: Special Edition - Niche manufacturers, limited runs. This section is inaugurated by Skip Barber trying to serve as a talisman to Aday Coba; and the Torino Argentino emblem for Federico Calderón, my Rincón Ardusso Racing Team buddy, who will need everything to unload those ballasts! Finally, another novelty of the month sneaks at Tout Vitesse. Due to recent world events, The French Lion bursts into TMCustomLogos team. Carlos Sáinz & Peugeot Sport CONGRATULATIONS!!! To take advantage on recoveries after a hairpin, we have lightened economic load weight by 20%!!! 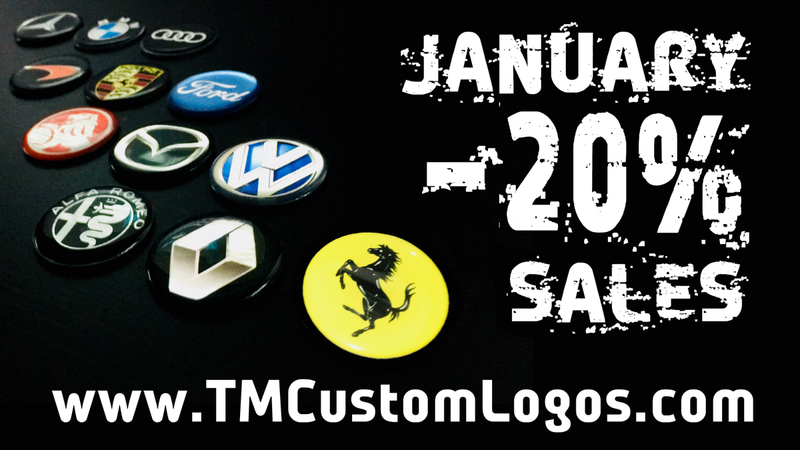 Enjoy discount in entire TMCustomLogos catalog only in January. December news, new products, projects and more. Leggenda Sportiva: Passion for racing. The new Italian family enters the competition with 2 legendary manufacturers. Ferrari, the factory of Dreams. 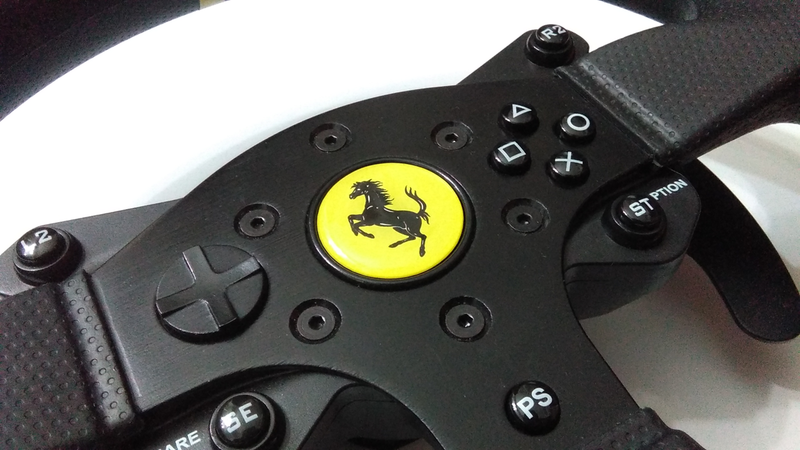 Il Cavallino over Giallo Modena gives that special touch to your rims. And next to them comes Alfa Romeo, with polished metal finish, shows his intentions in order to green his laurels. And, since December is a special month, Italians do not come alone. Renault, with its chrome finish, opens the French borders a Tout Vittese: Speed is blue! Not just logos. Also new projects are part of the end of the year, as the YouTube channel where I will show TMCustomLogos in action; or better yet, to offer the option to customize logos for your team or Championship!!! 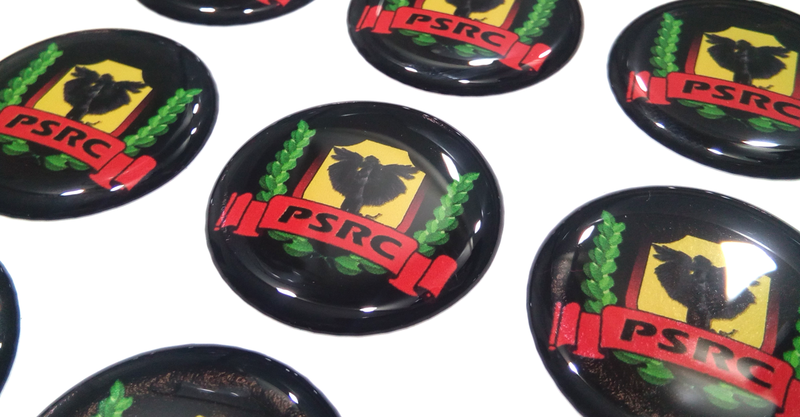 In close collaboration with PSRC: PS4 Simulation Racing Club @PSRC_Oficial we have recreated the Competition's badge so its well-deserved winners will be able to show off their pride. Contact for more info. 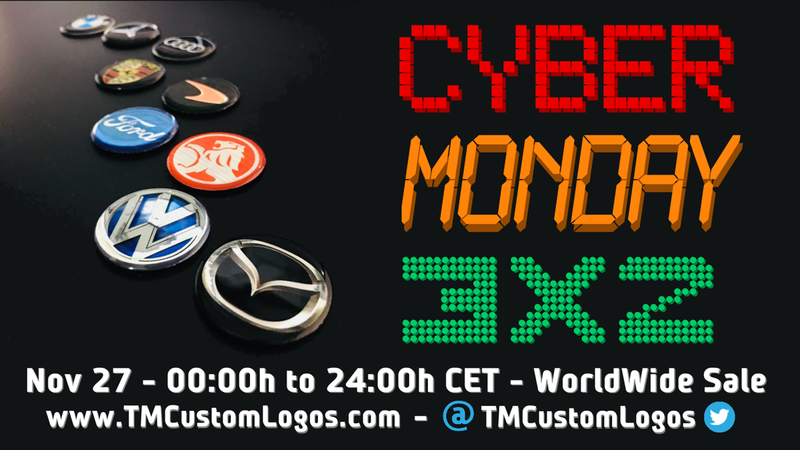 Cyber Monday is here and @TMCustomLogos announces the 3x2 sale! Choose this option all the times you want, 3 logos 10€, 6 x 20€, take them all for 30€ !!! Mazda arrives from the land of the Rising Sun, championing the new Japanese family: Nippon Ichi To be #1 - The only thing that matters. In the old continent, we bring Volkswagen to become the Fifth Element. Deustche Technik family do not stop growing! 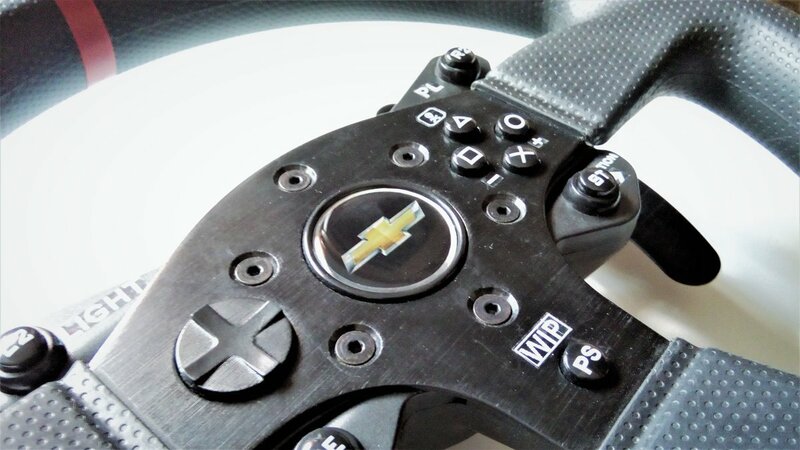 And we also bring a video-tutorial to take apart any Thrustmaster rim, thanks to our friend @LoudManX !!! Colliding with 2017 Bathurst 1000, we create a new family on TMcustomLogos rooster: Muscle Car, V8´s of pure muscle. Ford & Holden, Holden & Ford... The eternal fight. The American maker glares with is chrome finish, while its Australian rival highlights your rim with more power. ¡¡¡ Hear them Roar !!! Porsche meets Deutsche Technik fellas, shining on their rivals with his polished gold finish. The next is McLaren who creates a new family: Winning Formula - Born To Win! 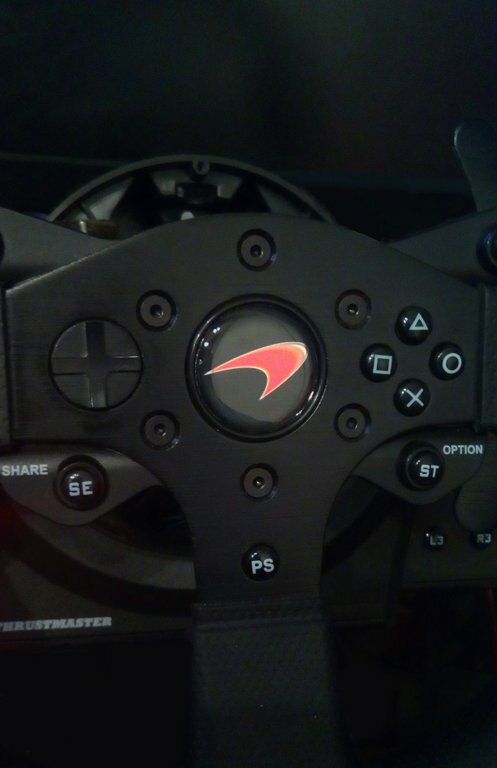 Taking advantage of McLaren logo release, we announce that Thrustmaster Ferrari F1 Wheel Add-on is now supported by all TMCustomLogos. 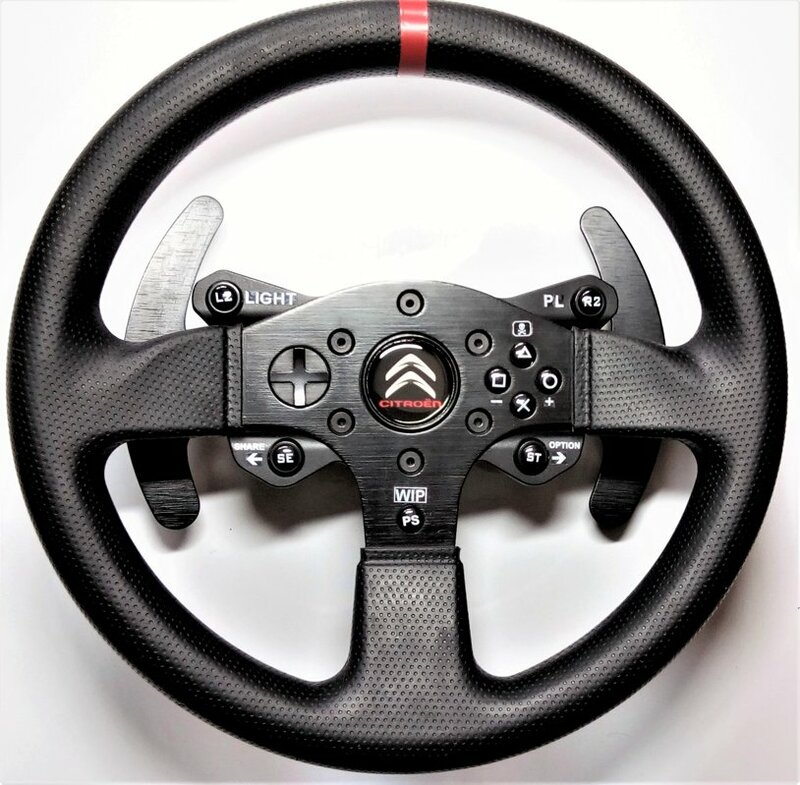 With that already they are 6 the supported Thrustmaster rims. New purchase option available: Adhesive Only . 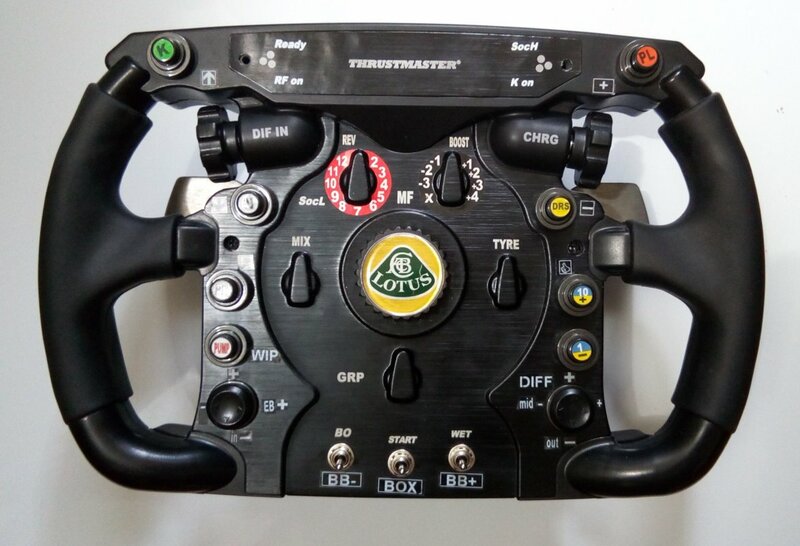 Best option for Thrustmaster T150 & Tmx wheels, Perfect fit! 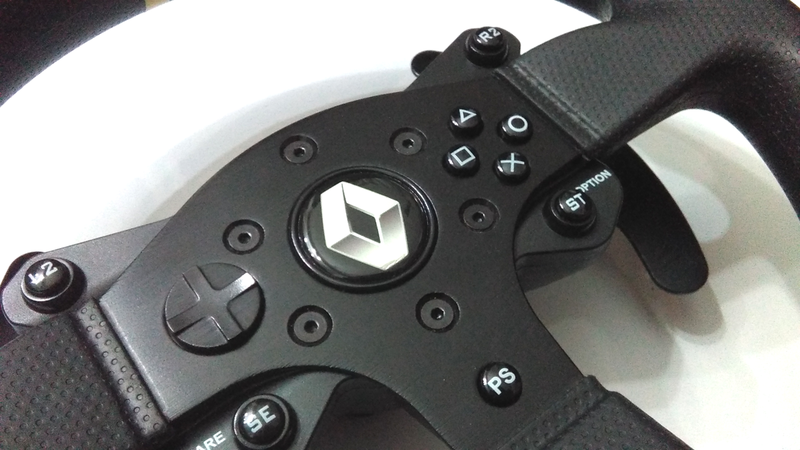 We give the option to purchase the adhesive only, for all those who don't want to dismantle their rim to remove the TM logo, or simply to stick it on the wall, it's your best bet! This is the idea that gave birth to TMCustom Logos. 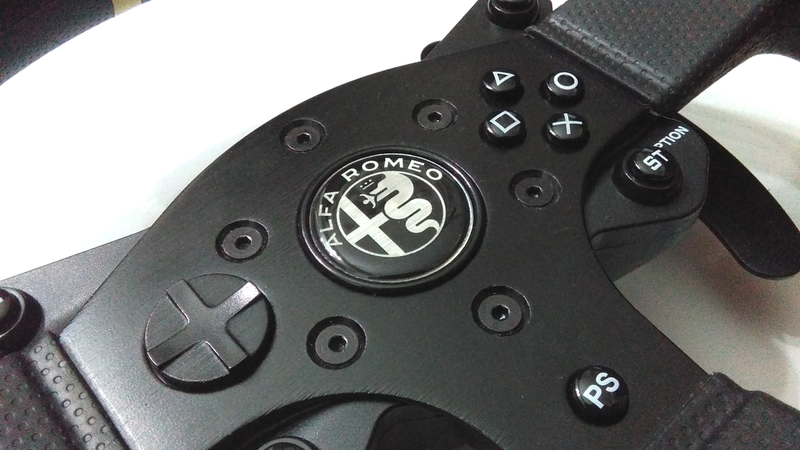 Made by and for 4 wheels lovers, these emblems are created to be valid and interchangeable for almost all Thrustmaster wheels (RS, GTE, 599xx, LEATHER, RACER). Thanks to its magnet locking system, you can drive the manufacturer you want, whenever you want. 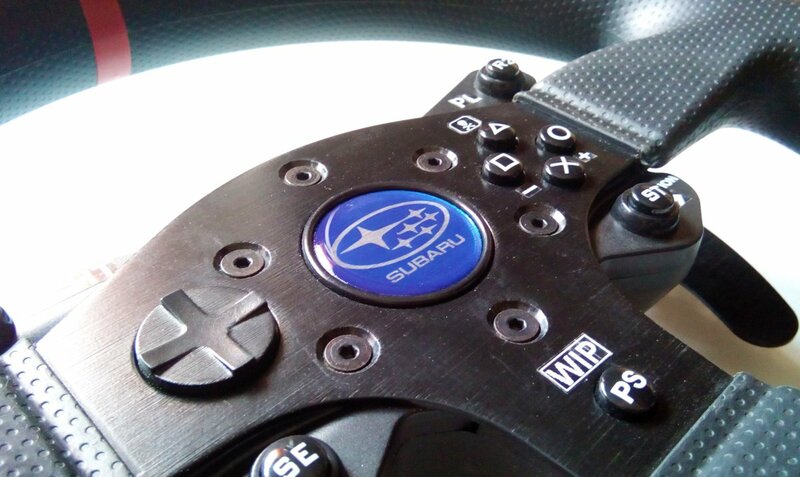 To use TMCustom Logos, you need to modify each wheel you want to enable. We have created a simple tutorial that does not void warranty and will allow you to get rid of the TM logo. Its price is 5 € each unit. You can place your orders here or contact us. 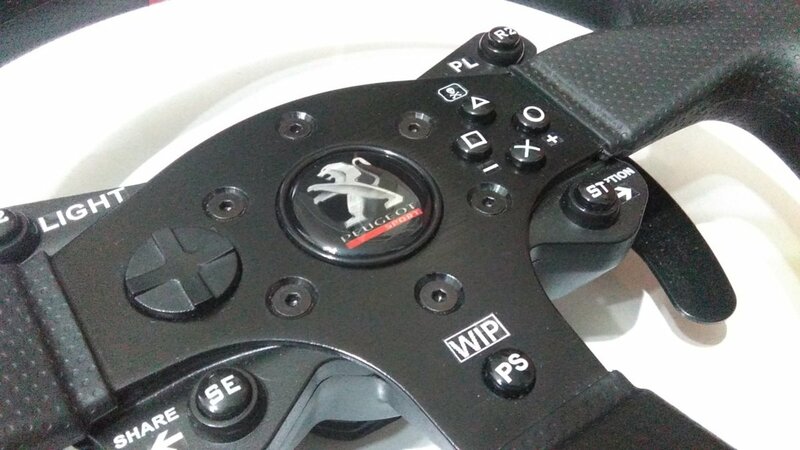 Made by and for 4 wheels lovers, these emblems are created to be valid and interchangeable for almost all Thrustmaster wheels (RS, GTE, 599xx, LEATHER, RACER, F1). Thanks to its magnet locking system, you can drive the manufacturer you want, whenever you want.